No matter the age of their children, parents face unique circumstances when planning the family vacation. Typically, there is a long list of considerations. Parents must plan time away from their jobs and are often limited to when the kids are out of school for the summer or holidays. Then there are the family finances to consider, not to mention trying to plan a vacation that will appeal to everyone's interests. Once you decide when you are going to vacation, other choices need to be made, including your destination, and once there, where you will stay. 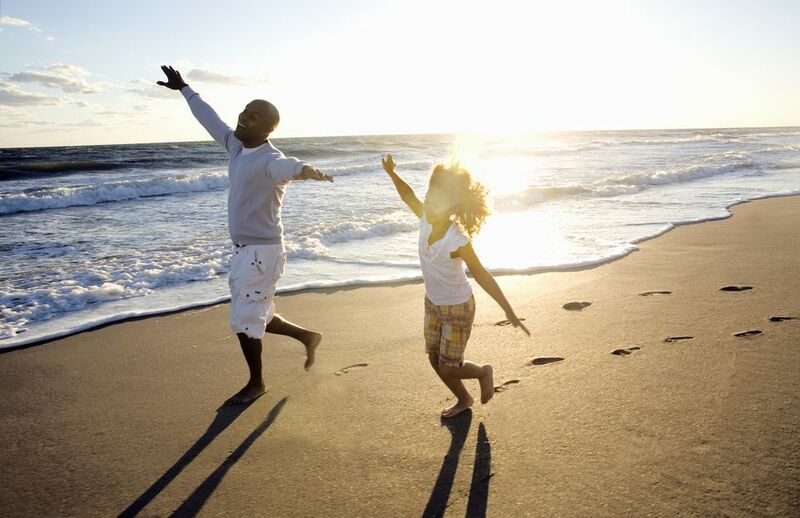 How do you decide the best Florida location for your family? I've narrowed it down to destinations that cater to families by offering a variety of family-friendly guest rooms to fit every budget, plenty of kid-friendly attractions and something that should appeal to parents as well. If your family loves the beach but also likes a fun and vibrant atmosphere, Daytona Beach is the perfect vacation choice. Where else can you not only ride the waves but also drive your car on the beach and get a spectacular view of the ocean from atop a Ferris wheel? Activities along the beach are limitless. Swim, sunbathe and experience the amusement rides along the Daytona Boardwalk, fish from the Daytona Beach Pier (no fee and no license required), or rent personal watercraft, paddleboards, bicycles, scooters, canoes or kayaks. If you're a car or race fan, satisfy your need for speed and your appetite at the same time at the Cruisin Cafe. The race car-themed burger joint is just across the street from the beach and is a fun place for lunch or dinner. Daytona Lagoon Waterpark and Family Entertainment Center features a full day of fun for the entire family, including thrilling water slides and a lazy river, laser tag, go-karts, and miniature golf. Spend an evening just putting around at Congo River Adventure Golf or Pirate's Island Adventure Golf. Enjoy a sweet treat when you take a tour of Angell & Phelps Chocolate Factory. You get a free sample at the end of the tour! Feeling adventurous? Try taking an eco-tour from a zip line at Zoomair Treetop Adventures. Warning: Daytona Beach has been trying to market itself lately as a family spring break destination. However, expect heavy crowds during spring break and some inappropriate behaviors by spring breakers, including drinking. Check guest reviews and prices for hotels on Tripadvisor. Orlando has certainly earned it's #1 vacation destination title. It is a family-friendly destination catering to all ages and budgets. Whether your kids are toddlers or teens, they will tell you that the theme parks — Disney World, Universal Orlando or SeaWorld Orlando — are where they want to spend their vacation. A wide variety of family suites that sleep from 6-8, including Disney's Art of Animation Resort, Disney's All-Star Music Resort, and the Nickelodeon Suites Resort. Character themed guest rooms. Just to name a few... Despicable Me at Universal's Portofino Bay Hotel, Finding Nemo at Disney's Art of Animation Resort, pirate- or princess-themed at Disney's Caribbean Beach Resort or Disney's Port Orleans Resort, or Sponge Bob Square Pants at Orlando's Nickelodeon Suites Resort. Orlando's International Drive area, fondly referred to as I-Drive, offers hotels, restaurants, and attractions within a short distance. Most hotels in the area offer complimentary transportation to and from the major theme parks. Orlando's newest attraction, The Orlando Eye, is located along I-Drive, as is WonderWorks and Fun Spot amusement park. All are kid-friendly! You and your family like theme park experiences. The kids are into cartoon and television characters. You are looking for kid-friendly, age-appropriate entertainment. Check guest reviews and prices for hotels near Disney World on Tripadvisor. Tampa Bay's top beaches are some of the best in the nation. Plan your stay on or near the beach to take advantage of the sand, sun and surf and travel to the area's attractions that are all less than an hour away. There are unlimited ways to spend your days with all the outdoor recreational opportunities that can be found in the area. Building a sandcastle, renting a jet ski, fishing or taking a dolphin tour are just a few of the activities that can be enjoyed. Whether you stay on Clearwater Beach or not, you won't want to miss the nightly Sunsets at Pier 60 celebration featuring live entertainment and arts & craft vendors. Of course, the highlight of the evening is the spectacular sunset. Best of all... it's free! Enjoy a fun-packed day at Busch Gardens Tampa Bay. Thrill seekers will love the rides; they are some of the best in the state. Of course, there are plenty of other attractions (and animals) to please the entire family. See Winter from Dolphin Tale fame at Clearwater Marine Aquarium. Tampa's kid-friendly Glazer Children's Museum is located along the riverfront in Downtown Tampa. Interactive, hands-on exhibits will keep the kids occupied for an entire afternoon. Tampa's Lowry Park Zoo is one of the best zoos in the country and will be a hit with your preschool and elementary-age children. Whether you're taking a cruise from the Port of Tampa or not, The Florida Aquarium can offer a break from Florida's heat and is an interesting way to spend an afternoon. Plan a trip to Tampa Bay if your family loves the water and being outdoors. Check guest reviews and prices for hotels near Clearwater on Tripadvisor. The Palm Beaches' 47 miles of Atlantic coastline and beaches provide vacationers with plenty of sun, sand and surf opportunities. However, perhaps drawing more vacationers is the unique and upscale shopping that many connect with the area, including Worth Avenue in Palm Beach and the pet-friendly Downtown Boca Raton. Also worth a look are Delray Beach's Atlantic Avenue and Clematis Street in Downtown West Palm Beach. Drive yourself wild at Lion Country Safari, where you can see a variety of animals in their natural habitat from your car. After your safari, take a spin on the rides at Safari World, the adjacent amusement park. The Palm Beach Zoo is a 2015 winner of the Certificate of Excellence from Tripadvisor.com and the kids will love it too! Spend the day splashing and sliding at South Florida's largest water park. Note that Rapids Water Park is only open seasonally. Spend a hot day cooling off in the air conditioning at South Florida Science Center and Aquarium. Choose The Palm Beaches for your family vacation if you're looking for a beach vacation with upscale shopping and kid-friendly activities. Note that this vacation may not be the best choice for parents of young children, but more appropriate for teens who love spending time shopping. The Palm Beaches have always had a reputation for exclusivity. For many years, the area has drawn the rich and famous; and, perhaps that has led to the misconception that it is expensive. While there are exclusive areas that are pricey, there are often budget-friendly alternatives nearby. Check guest reviews and prices for hotels near West Palm Beach on Tripadvisor. 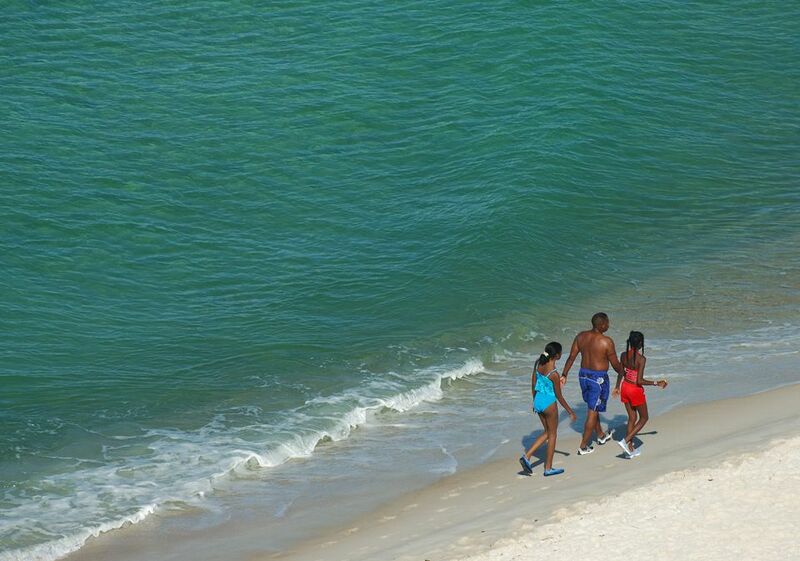 Panama City Beach's 27-miles of award-winning sugar white sand and approximately 320 days of sunshine is what keeps families coming back year after year. You're certain to have fun whether you're building sand castles, catching a drive-in movie at your hotel or simply soaking up the sunshine. If you and your family are looking for a little off-the-beach action, you can swim with the dolphins at Gulf World Marine Park or splash down at Shipwreck Island Water Park. Of course, there are the usual attractions found near the beach, including mini golf courses; and, WonderWorks, the upside down attraction, also has a location in Panama City Beach. Tip: Avoid heavy crowds by avoiding Panama City Beach during spring break. More than 20,000 rooms throughout Panama City Beach offer guests a variety of accommodations and amenities to fit every budget. Check guest reviews and prices for hotels on Tripadvisor.